The city of Ottawa is pushing through the completion of a four-kilometre extension of Terry Fox Drive to access areas for new housing developments. If roadwork is finished within a year, $32 million of the $47 million project will be paid for by provincial and federal stimulus funds. Ottawa West-Nepean MP John Baird, who is also the federal Minister of Transport, Infrastructure and Communities, has waived the project’s requirements under the Canadian Environmental Assessment Act, to hasten its construction. And a loophole in Ontario’s Endangered Species Act (ESA) is enabling roadwork to proceed despite the fact that it could wipe out local populations of Blanding’s turtles, wild ginseng plants and butternut trees. 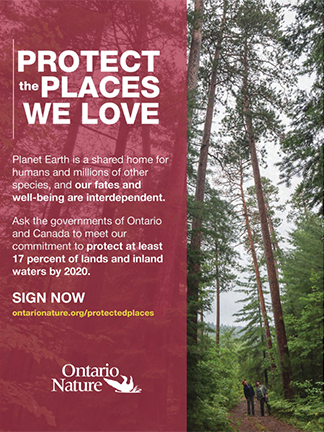 The destruction of near-pristine forest and wetland habitat isn’t sitting well with environmental organizations like Sierra Club Canada and the Friends of Greenspace Alliance. “There is no need for this road other than to satisfy the greed of speculators and developers,” said Sierra Club Canada executive director John Bennett in a press release. According to Bennett, plans to open up western Ottawa’s South Marsh Highlands to subdivision development will fragment 400 hectares of Blanding’s turtle habitat. 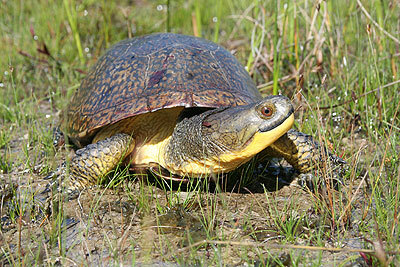 The Great Lakes-St. Lawrence population of Blanding’s turtle is listed “threatened” by both the federal Committee on the Status of Endangered Wildlife in Canada (COSEWIC) and Ontario’s 2007 ESA. The species lives 75 years or more and is slow to reproduce, meaning that a slight increase in mortality rates (a real possibility in this case due to the increased potential for roadkill) can leave populations critically imperilled. 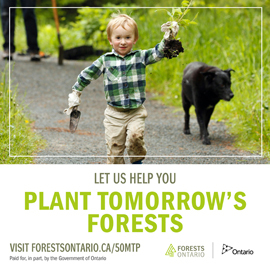 Meanwhile, construction will also require the removal of 20 mature butternut trees and three wild ginseng plants, both of which are listed as “endangered,” or at serious risk of extinction, by federal and provincial legislation.